The only problem, however, was that the "Resolution" was actually several miles south of their reported position. At about 8:42 AM., the flight reported in, "Air Pacific Easy, Roger, southeast, turning inbound". It was the last transmission from the "Resolution". Three minutes later, at 8:45 AM, a call from the air traffic control to the "Resolution" went unanswered. Destined to arrive at the airport any moment, the plane had gone silence. Shortly after the loss of radio contact, at 9:26 AM, four Coast Guard aircraft, including a PB-1, a variant of the B-17 "Flying Fortress", were dispatched from the nearby Air Station at San Francisco, to search for the plane. At 10:10 AM., nearly an hour and a half after the crash, the Coast Guard aircrew aboard the PB-1, piloted by Lt. Commander Donald M. Reed, located a single column of smoke rising from the densely-packed Redwoods on the southwest side of Kings Mountain, west of Redwood City. 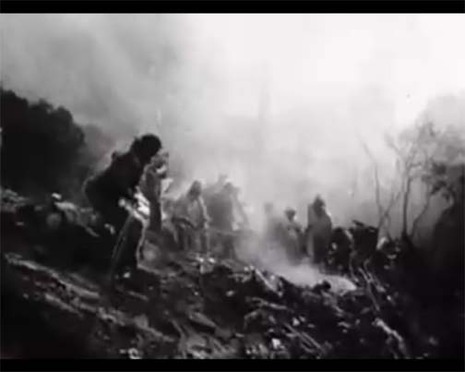 Flight 304 and the "Resolution" had crashed, tearing a path of destruction in the forest below, and igniting several fires with the remaining fuel. 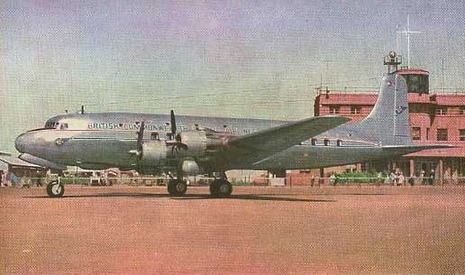 British Commonwealth Pacific Airlines (BCPA) Flight 304 was a Douglas DC-6 named Resolution and registered VH-BPE, on a flight from Sydney, Australia, to Vancouver, British Columbia in Canada, with scheduled stops at Nadi (Fiji), Canton Island, Honolulu and San Francisco. 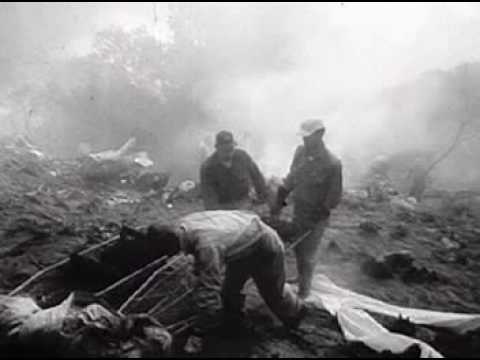 It crashed during its initial approach towards San Francisco International Airport on October 29, 1953, killing all 19 people on board, including the American pianist William Kapell. The aircraft was flying the Honolulu - San Francisco leg with a crew of 8 and 11 passengers (10 adults and 1 child). Captain Bruce N. Dickson (aged 34) and his crew took over the plane in Honolulu as scheduled.